Plus all the free stuff: eBusiness Strategy Blueprint PDF and Mini Course, access to all Group Mastermind Calls and future free resources. Your Free Membership will include our eBusiness Strategy Blueprint PDF and Mini Course, access to all Group Mastermind Calls and future free resources. 8A Bay St, Parry Sound, ON Canada. 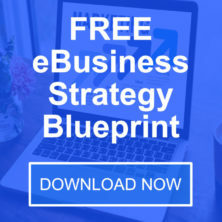 Get our eBusiness Strategy Blueprint!